The East European Folklife Center (EEFC) is a non-profit organization whose mission is to promote, celebrate, and educate the public about traditional and traditionally based music, dance, and cultures of the Balkans. We envision a global community of passionate amateurs and professionals, sharing what we know and love about Balkan music, dance, and folklore. By inspiring and supporting research and study in these fields, we preserve both historical and living traditions for future generations. The East European Folklife Center (the EEFC) began in 1977 with its first gathering of Balkan music and dance enthusiast at the Mendocino Woodlands Camp. Since then the organization has expanded to include, at its core, two annual week-long summer workshops, one on the west coast and one on the east coast. 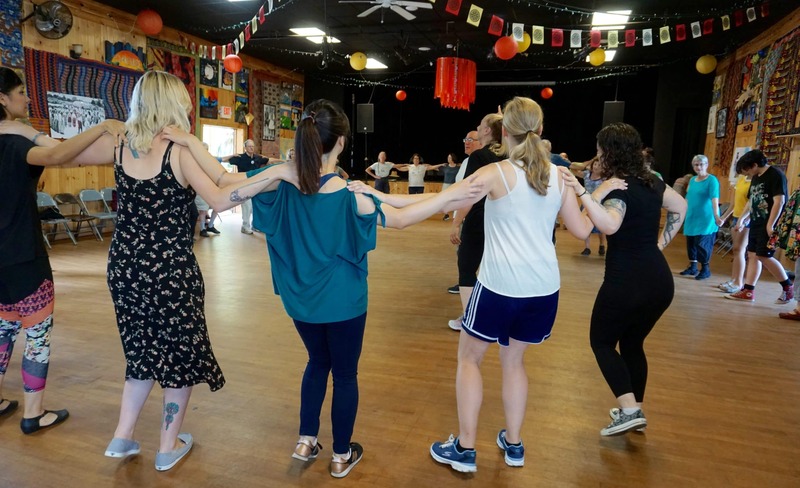 Each Balkan Music & Dance Workshop (often called Balkan camp) brings together the finest available teachers and performers with students of varying levels and experience eager to share the joys of Balkan traditions. With dance instruction, culture corners, instrumental, vocal, and ensemble classes, days of lessons and nights of parties, these weeklong workshops have been an unforgettable annual celebration for a growing and increasingly diverse community on both U.S. coasts. In addition to camp the EEFC provides a fundraising arm which supports the camps, provides scholarships, and underwrites projects like its youth orchestra and Kef Times. Other projects, like Forum Folkloristka, are funded by outside grants. Researching and obtaining grants is another activity the organization pursues. The EEFC also acts as the fiscal sponsor for groups seeking funding for mission-aligned projects. The organization is directed by an all volunteer board. It is run by two year-round part-time staff members, volunteer committee members and a host of full- and part-time paid and work-exchange workshop staff. Tuition from the summer workshops does not provide all of the funds needed to keep the organization solvent. The remainder comes largely from membership and donations from within the community. Community support, both monetary and through volunteering, is essential to the EEFC’s existence. Consider becoming a member or making a donation. Join the circle. 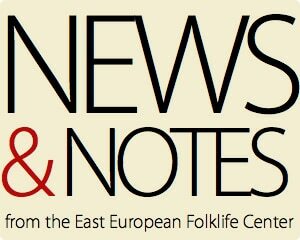 Culture, community, and kef (elevated good feeling) — these words sum up what the East European Folklife Center is about. Given all that we know about the need for community and cross-cultural understanding, surely the EEFC speaks to the very heart of our time.